We started off the holiday with a trip to the pool Thursday morning. After an afternoon nap (for JJ) we headed to my parents for dinner and then to the high school for their local fireworks show. JJ did much better than I anticipated considering how late it was and how delayed the actual show was. He seemed to enjoy them, but lost interest after 10 minutes. Anyone know what is supposed to go in that middle spot? Just filling? Some sort of garnish?? As always, the recipe is at the bottom of the post. I also made some of my chocolate chip cookies (a favorite of my father in law) to bring for dessert. 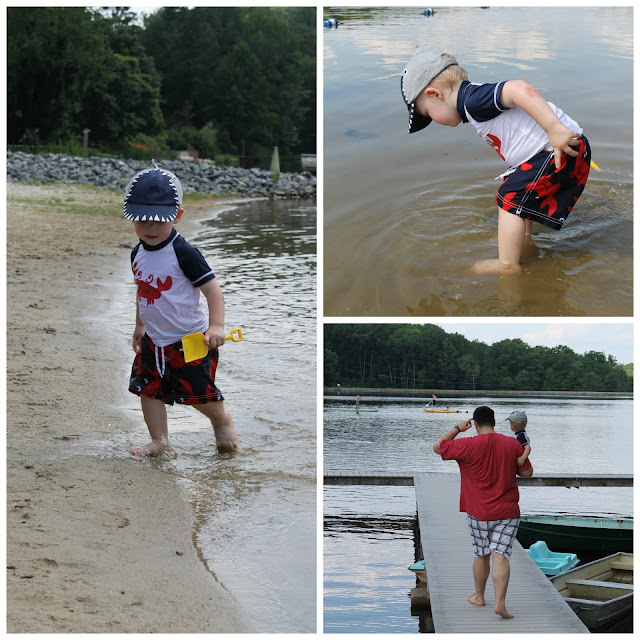 Before we ate, we took JJ down to the lake for the first time. While I am not fan, I prefer cement ponds myself, he loved it. I think he liked the fact that he was in control and could just walk in and out and always have his feet on the ground. Back at the house, we dried off, tried to stay cool, and enjoyed the food. 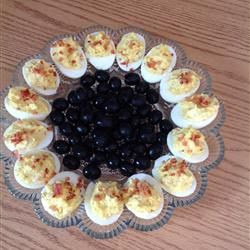 The eggs were a hit - but to be honest, they sort of just tasted like a regular deviled egg with some bacon. 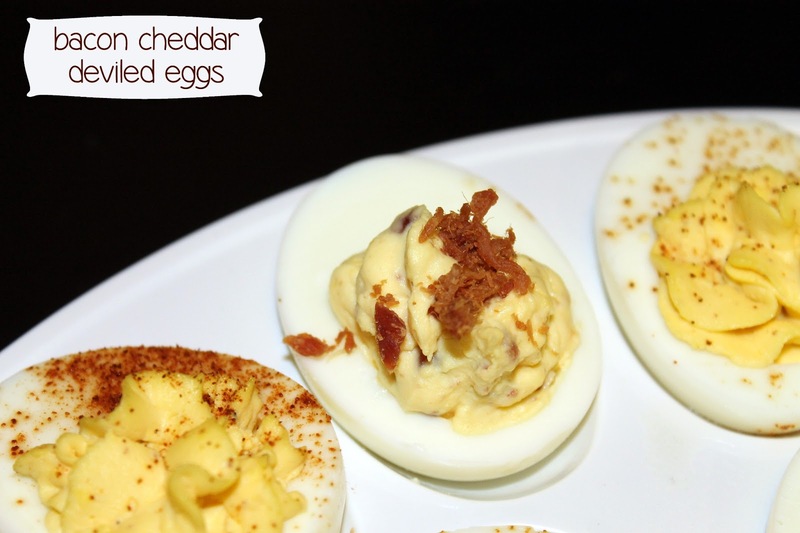 Next year I will have to try the ranch version - they sound delicious! Things to Note: I sort of skipped #1 and just made hard boiled eggs my usual way (put eggs in room temp water just about covering eggs and bring to boil, boil for 10-12 minutes then place in ice-water bath). I also cheated and used precooked bacon. So basically I only followed Step 3. I have a bunch of things in my backlog to post about - hopefully I get some more computer time soon. I have tried a bunch of yummy dinner recipes recently - so stay tuned!